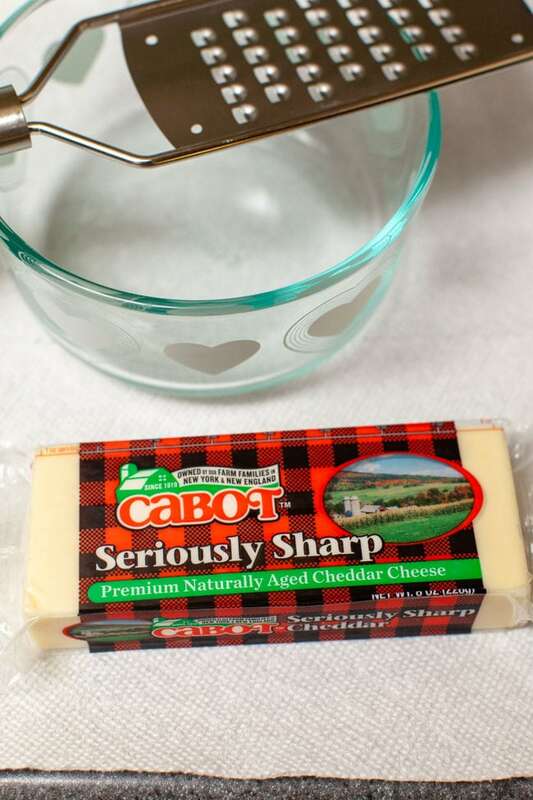 I told you guys before, I LOVE Cabot Cheese…I’m thrilled to be working with them again. My friends and I love this fondue restaurant, we go for happy hour and I eat the cheese. 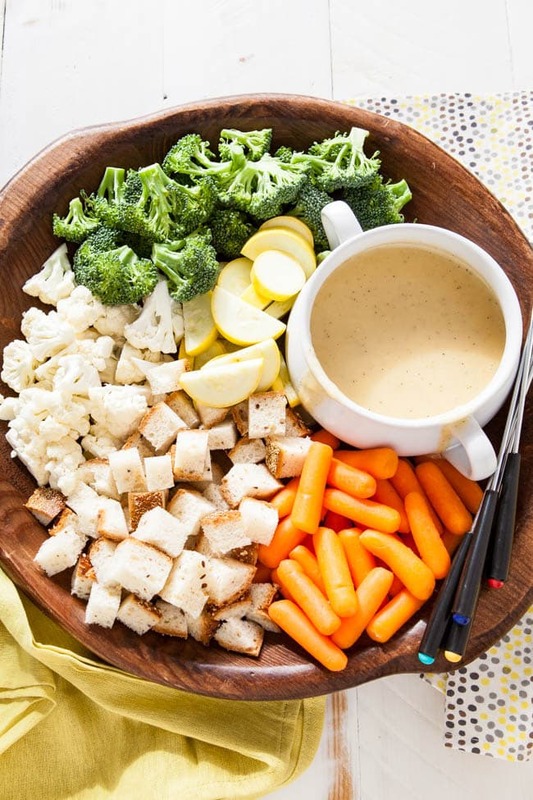 I have been wanting to make cheese fondue at home and this was my chance. 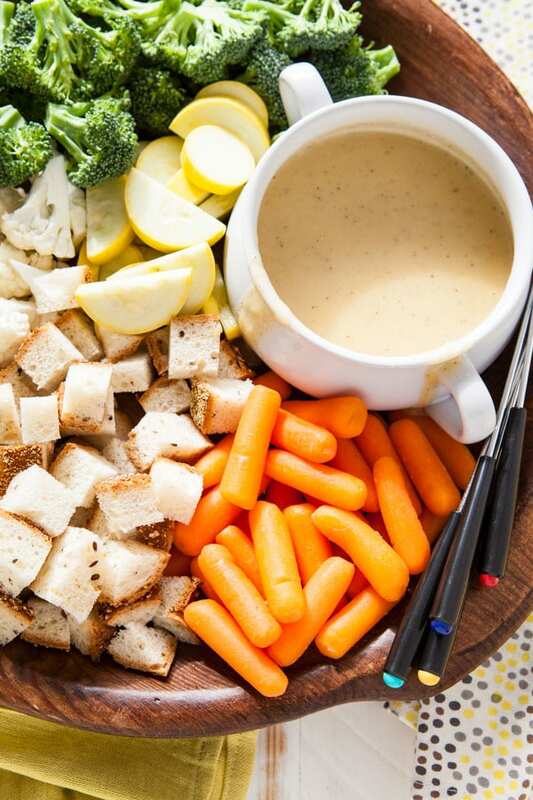 But I have a confession, I have made this recipe for Beer Cheese Fondue like five times before even sharing this recipe with you. I have eaten this for dinner all by myself. It’s so so good! 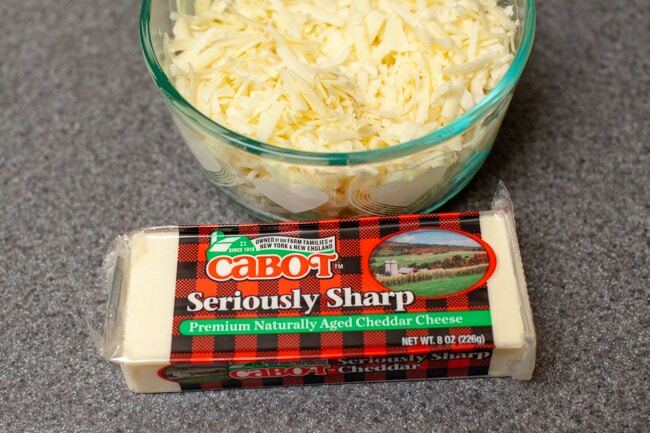 You have to use Cabot Seriously Sharp Cheddar Cheese to make it! Prep the veggies, that’s the easy part. For vegetables, use whatever you like and use what’s in season. It will taste great and every time you make it, it can be a little different! Then, grate your cheddar cheese! This is the best part! 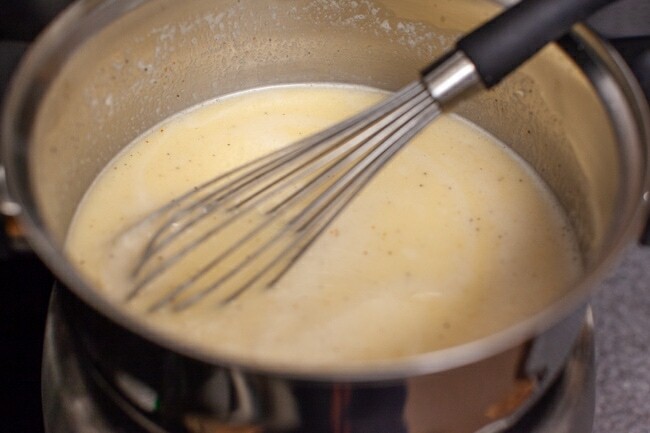 Now we make the beer cheese fondue! 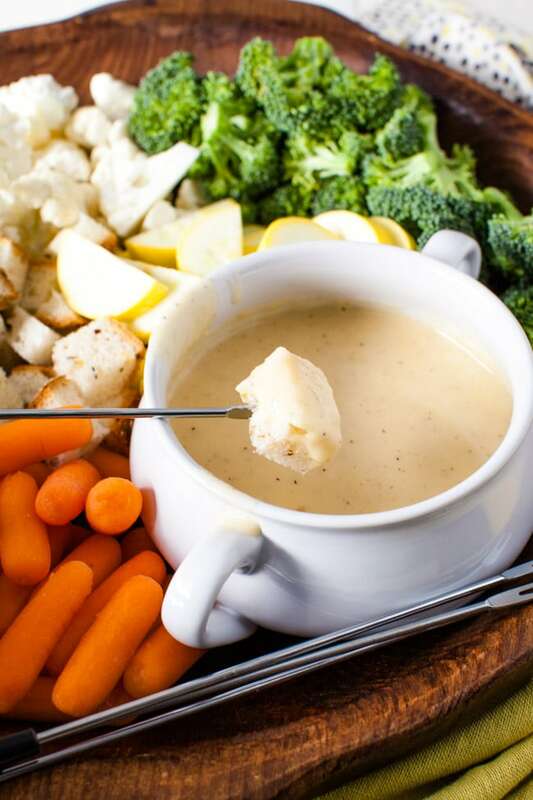 Add garlic and beer to your fondue pot. 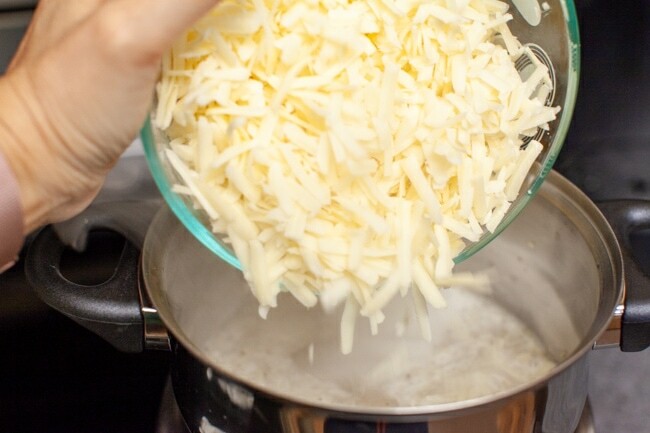 Let it bubble up…that way you know it’s hot enough to melt the cheese. 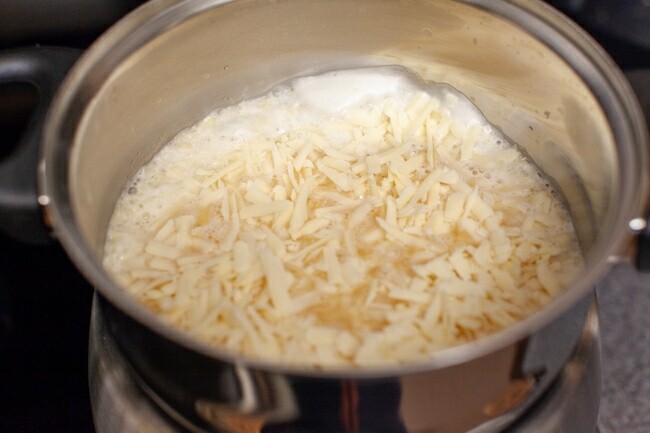 Add the Seriously Sharp Cheddar Cheese to your pot…do you see how the beer is bubbling? I had to give you another cheese action shot! You’ll see it’s thin at first. 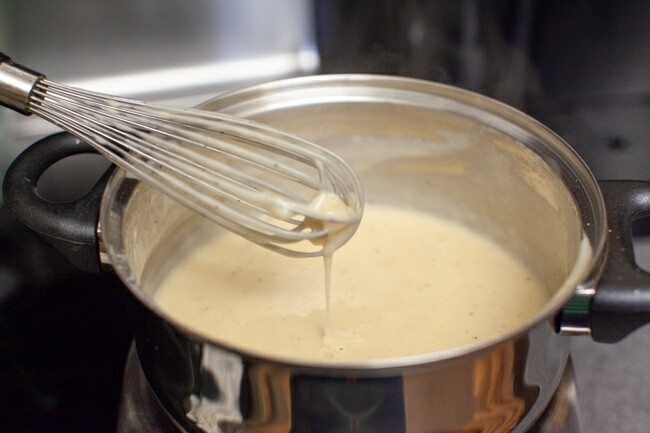 So you’ll want to whisk and whisk and then you’ll get fondue! 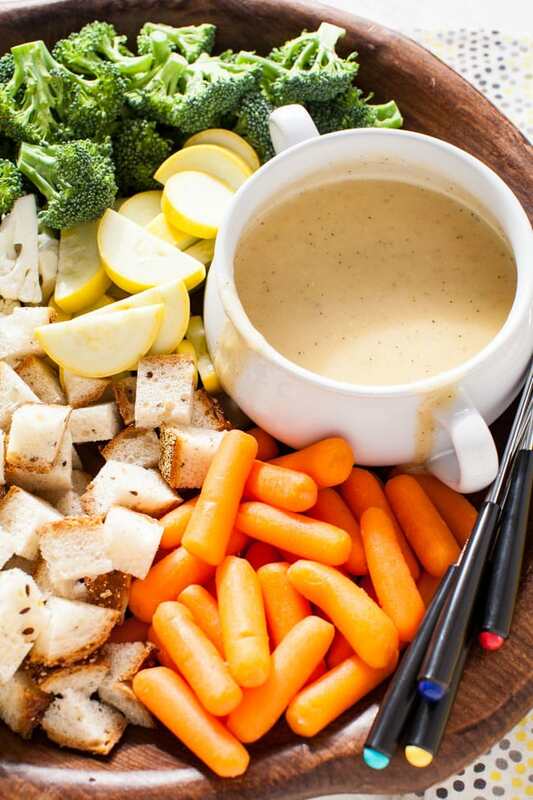 I add soy sauce to add a little umami flavor to the fondue. I’m doing a happy dance thinking about you making this for your family and friends for the holidays. I know they will love it! 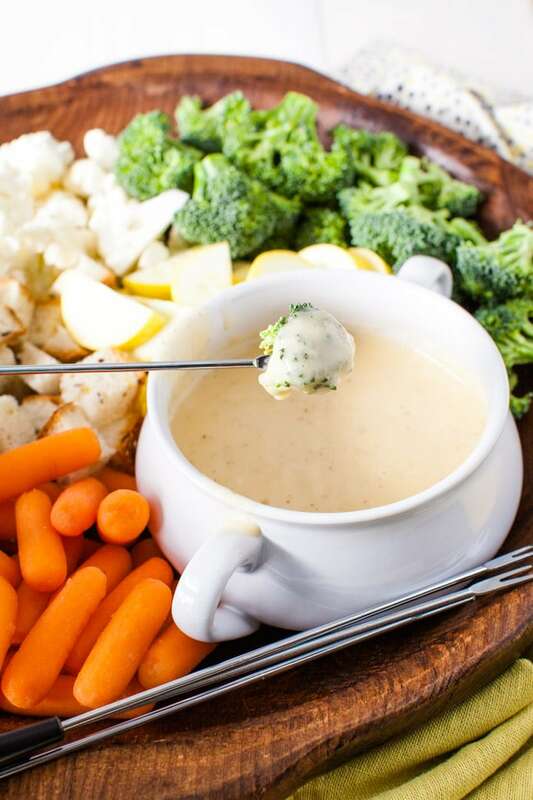 I will be making this recipe for beer cheese fondue for our holiday party this year! 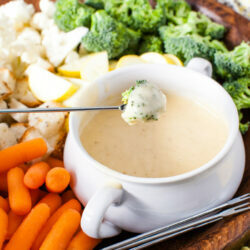 Here’s another cheddar fondue for you to try if you’d like! Prep bread and vegetables for for the fondue. 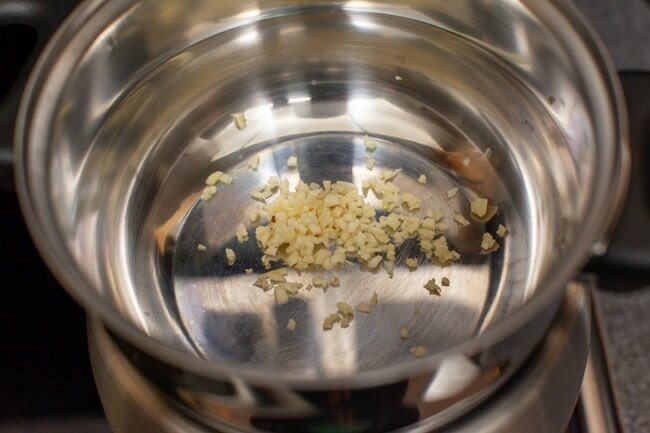 Add beer and garlic to a fondue pot or double boiler. 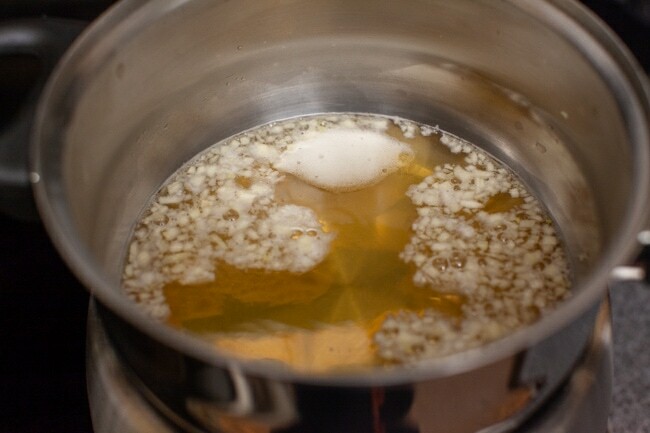 Heat on medium high until bubbling (or boiling). 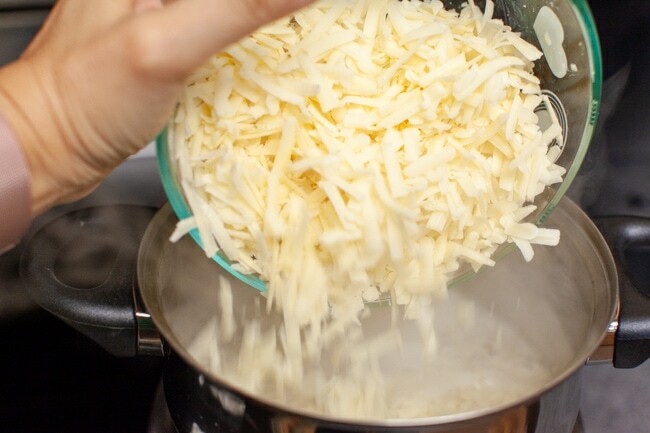 Add Cabot Seriously Sharp Cheddar Cheese, cornstarch, both ground peppers and garlic powder. 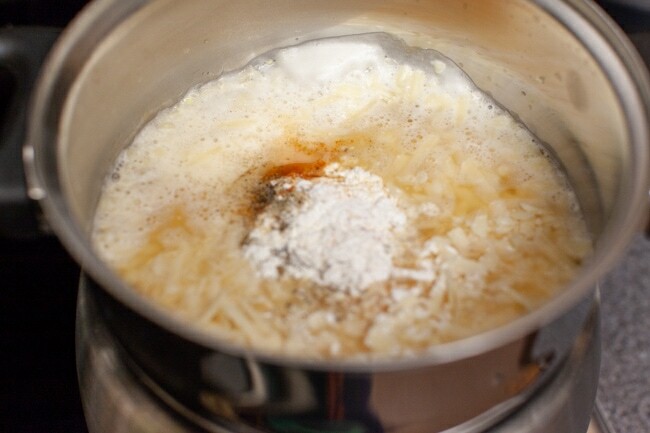 Lower heat if necessary, cook until the cheese is melted, whisking the entire time. Add soy sauce and mix thoroughly. Serve immediately with vegetables and bread.